Mr. Rohit Kumar from Punjab traveled to Delhi to achieve his dreams of being an expert in Networking field. Like Rohit, we have lots of students from various states and countries like Canada, Australia, UK and more learning under one roof of Network Bulls. Rohit enrolled at Network Bulls, Gurugram for #CCNA R&S and #CCNP R&S certification course #training. “Hello friends, my name is Rohit Kumar and I am from Punjab. I am a BCA graduate and choosing a networking field to build my career in, was a tough decision to take. I took this decision after my friend's recommendation and got enrolled at Network Bulls in CCNA and CCNP Routing & Switching course training. The World’s largest Cisco training labs which are open 24*7 for all networking students at Network Bulls grew my interest toward networking. I must say they have labs which are loaded with updated Cisco devices like routers, switches, IP phones and lot more. If I talk about Network Bulls trainers, they are well-experienced and CCIE certified. They treat students as their family members and guide them with their every query. I feel proud to be a part of India’s No-1 Cisco training institute. I want to recommend NB to every candidate who wants to start a career in Networking it is the best option for you. Thank you”. So, it was Rohit’s experience with Network Bulls during his Cisco CCNA & CCNP routing and switching certification training. He devoted his most of regular time in CCNA and CCNP labs and finally completed his training. So, what are you waiting for?  Make your career in networking with Network Bulls and achieve your dreams. Call us on our toll-free no. 1800-3070-7628.